Mauruuru à tous ceux qui sont venus nous rencontrer sur notre stand, et à bientôt pour votre croisière à bord de nos catamarans ! Cruise in the cabin to share, full board on board, drinks included juice and water (excluding alcohol). For more information on this cruise or to know how to book, contact us. For four years, we are also present at the Salon de la Plongee in Paris, thank you to France O – INFO SOIR, for their interview and report on our activity, released on January 06, 2017. Thank you also to everyone who found us on our stand! Exchange of nautical memories between Philippe and Antoine! Merci Antoine (Great French singer, navigator and lover of French Polynesia) for this visit on our stand. 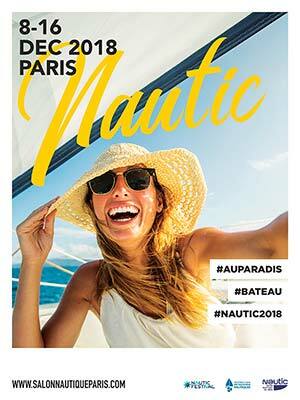 Salon Nautique, December 03, 2016 in Paris.